Michael Wood, Chairman of Parliament's Finance and Expenditure Select Committee, says he will be requesting banking and insurance bosses come to Parliament to front up to MPs. He previously floated the idea of hauling in bank bosses but wanted to wait until the Reserve Bank (RBNZ) and the Financial Markets Authority (FMA) presented to the committee, which they did at the end of May, before making a final decision. Speaking to Interest.co.nz, Wood now says getting the sector’s top brass to front up to MPs is an appropriate step, given the “significant public interest” in what’s going on in the banking sector. The regulators are not due to report back to the committee until October. 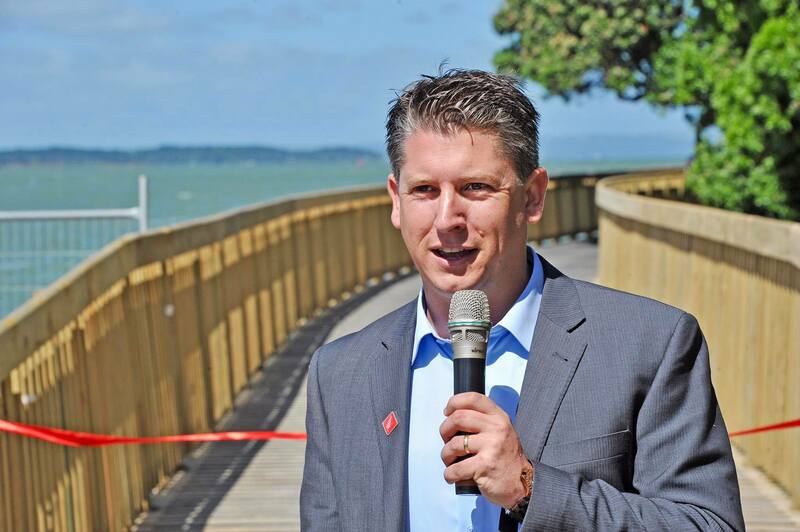 Wood, the Labour MP for Mt Roskill, says the committee was “very satisfied” with the regulators' presentation earlier this month. Speaking to the committee FMA CEO Rob Everett said their preliminary monitoring work into banks hasn't turned up evidence of widespread, systemic issues that warrant a commission of inquiry in New Zealand. The FMA and RBNZ are also probing the life insurance sector. “On the work to date I would say we've seen plenty that we think can and should be done better, but we have not seen evidence of systemic and widespread misconduct,” Everett said. Wood says given the “significant public interest in this issue,” it seems appropriate that there is a public forum in which MPs can ask appropriate questions. He does not have a timeframe at this stage but says he and the committee will hammer out more details next week. And it won’t just be the bankers who will be requested to present to the committee. Although a select committee chairperson can request an audience with a party, they cannot compel anyone to attend. Only the Speaker of the House can legally make people appear before committees. However, it appears unlikely bank bosses would refuse to attend a select committee hearing if asked. Could we please have a "Savers' input too. Could we please have a "Negative Investors" input too. Could we please have a "Short Sellers" input too. Could we please have a "Derivative Investment' input too. Could we please have a "Land Bwankers' input too. Can we please have a "Roll over Deposit Scam artists" performance to date, input too. Or could just one honest person, put their viewpoint...too...about fractional no-reserve Bwanking. please explain how the world or national economy would work without using fractional reserve banking. The Q then is what is a safe % to ask for and generally I think our RB is pretty prudent. Also do you mean "savers" or the "saved" as these are distinct and could well be mutually exclusive in their wishes. Example, I am a saver, an OAP is a saved. When there's an instrument such as the OBR in place the RB can afford to run the reserve ratio a bit lower. I would like to see an investigation into banks forcing assorted insurance policies onto customers. Does anyone else feel like that? It seems that there is an element that the Financial Select Committee could be trying to cover their political position (butts?). I would have thought that the FMA and RBNZ would be in a better position to more fully investigate the situation and report to the FSC as they have already initially done regarding banking (without noting any presence of significant systemic issues). Once the FMA and RBNZ have completed their investigation - and with or without identifying any significant systemic issues - then the FSC would then be in an informed and a very strong position to take the banking and/or insurance sectors to task if necessary. I suggest that the FSC really have only one shot at this and it would seem that at the moment the FSC seem a toothless tiger. What is the FSC's rationale?